The purpose of this tutorial is to suggest some recommendations for protection of your device. 1. From your desktop in the bottom right corner, click the blue F-Secure icon. 2. The screen above should appear. Click Settings. 3. 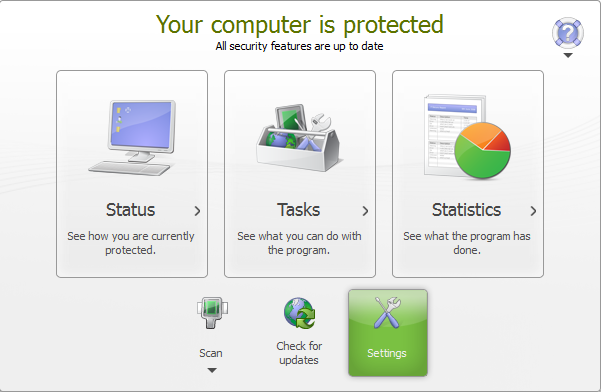 From here, click the Internet tab on the left side menu, then click Browsing protection. 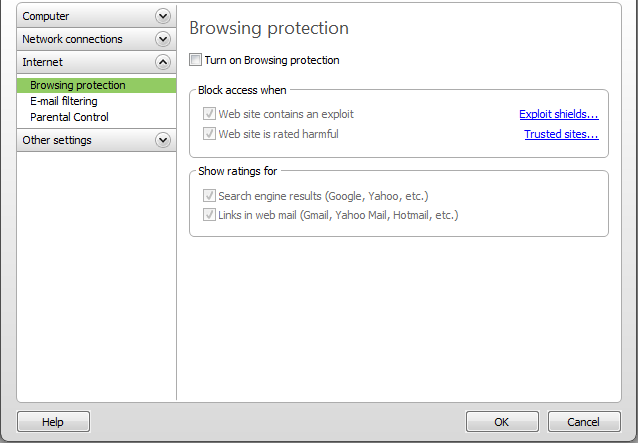 Make cure that the Turn on Browsing protection check box is unchecked. 4. Next click the Other Settings tab then click Privacy. Make sure that the check box is unchecked. 5. Next click the Network connections tab then click Firewall. Make sure the Turn on Firewall check box is checked. If you intend to share files on the network or use network printers, select the profile that says "Office, Printer/File Sharing" as shown in the image above.